Pushmataha is the most famous chief of the Choctaw nation and was the primary Choctaw war leader during the War of 1812. Pushmataha died in 1825 on a diplomatic mission to Washington DC and is buried there in the Congressional Cemetery as Brigadier General Pusnmataha. When CLA member Matt Fennewald heard the theme of the CLF auction was the War of 1812, he was enthusiastic about changing his original donation proposal of a horn and bag to a Choctaw bow. 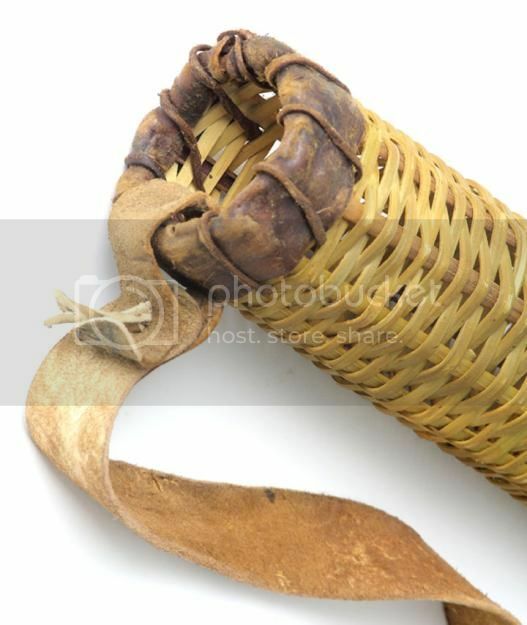 Matt was aware of a bow attributed to Chief Pushmataha and supposedly was carried by him during the War of 1812. Pushmataha was a believer in traditional Choctaw cultural and the spiritual power of traditional ways and weapons. It is likely that the stories he carried a bow into battle in the Creek wars are true. There is a probability that he was in the small contingent of Choctaw warriors at the Battle of New Orleans, but that cannot be verified. Matt’s quest to build a faithful copy of that bow is a story in itself. He contacted the Choctaw National Museum, who holds the bow in their collections, and after some discussion with personnel at the museum, he believes that particular bow is actually Filipino and not Choctaw. 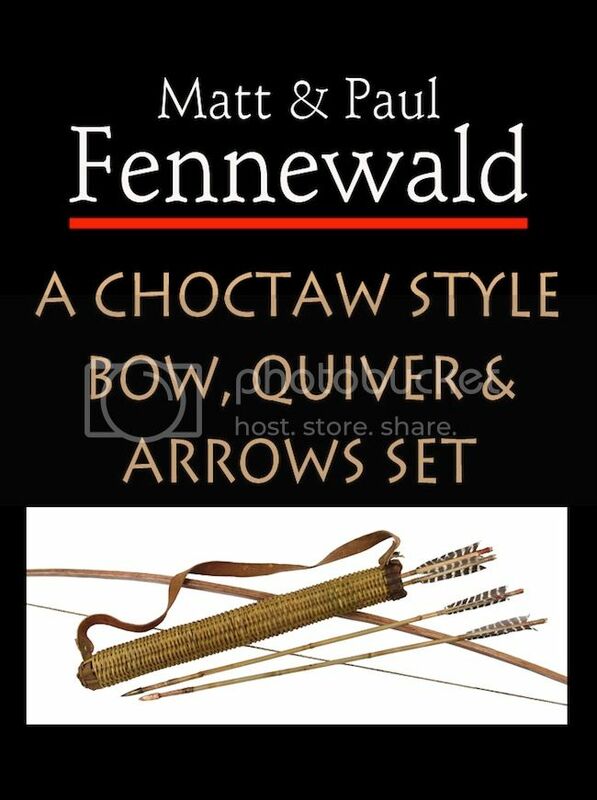 Matt did not want to do something that might be misrepresented, so he decided to make what he feels is a little more likely as far as a Choctaw bow, arrow, and quiver set that could have been used by Pushmataha in the War of 1812. The bow is made from hickory and has a string twisted out of whitetail deer back sinew. The arrows are river cane, fletched with wild turkey wing feathers, and have fore shafts made from hickory. Matt included several different point styles as he feels this best represents the variety that would have been found on the arrows in a working quiver. The quiver is woven from river cane and was made by Paul Fennewald, Matt’s father, who is also a CLA member and lives in Missouri. Matt says he did not use any special tools in the construction “just some research, a hatchet, drawknife, shaving horse, pocket knife, and some sweat”. In the preservation of traditional artistry, that is special. The river cane used in the construction of the arrows and quiver have a connection to another Indian chief who was also connected to the War of 1812. This material was gathered near Lake Wappapello, in the St. Francis River watershed, in Southeast Missouri. Lake Wappapello is named after Chief Wapepilese, a Shawnee who reportedly hunted in this area, and was friendly to the early white settlers in southeast Missouri. His village was located on the site of present day Bloomfield, MO. Matt and his father are both from farms on Moniteau Creek in Moniteau County, Missouri. Paul gave Matt his first flintlock rifle at the age of 10, in return for a summer working the farm. Endless hours of Matt’s childhood were spent pouring over The Books of Buckskinning, as there was nothing more in life he wanted than to be a mountain man. Later on he spent a few years studying art at college, then left to spend some time hitch hiking around this great country and trying to live off the land. When the time came to settle down, the only place that felt like home to Matt was back along the Moniteau Creek, and so that is where he lives today on a small farm along with his amazing wife and three children. Matt is noted for his brain tanning, hand crafted bows and arrows, hand stitched hunting bags, and powder horns.